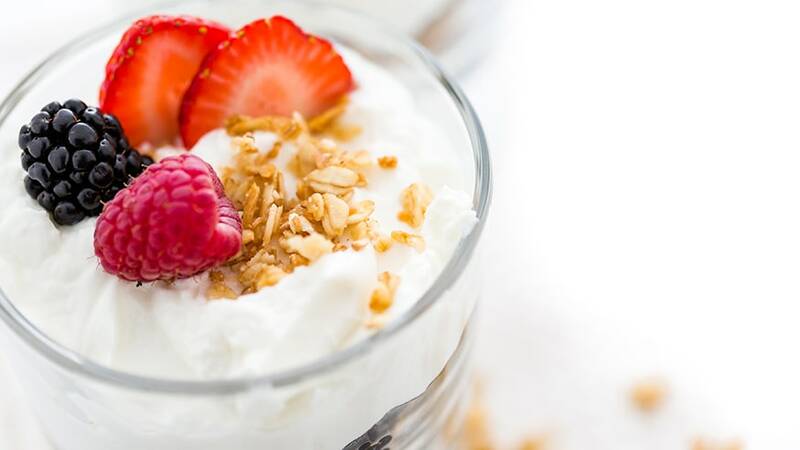 Yoghurts (and other cultured milk desserts) are produced by fermentation of milk by the addition of certain types of bacteria, e.g. Streptococcus thermophilus and Lactobacillus bulgaricus. Chocolate crumb and/or cocoa powder is added to chocolate and chocolate flavour products. Thickening and stabilising agents such as gelatine, pectin, xanthan gum, starch, etc. These bind free water in the milk, which helps prevent whey separation (“syneresis”) and can be used to obtain a variety of viscosity and texture modifications. Whether the end product is to be sweetened, unsweetened, sugar-free, low-fat, fat-free, etc. The desired modification of the viscosity naturally obtained from the fermentation process. Legislation which controls the use of additives in many countries. Milk powder, whey powder or other MSNF is added to the incoming milk, to standardise the fat and dry solids content. Thickening and stabilising additives may be premixed with the sugar or other powdered ingredients. This reduces the formation of agglomerates by separating the grains and also “weights” the powder to prevent it floating on the surface of the liquid. The remaining ingredients are added. The premix is then pasteurised and homogenised. 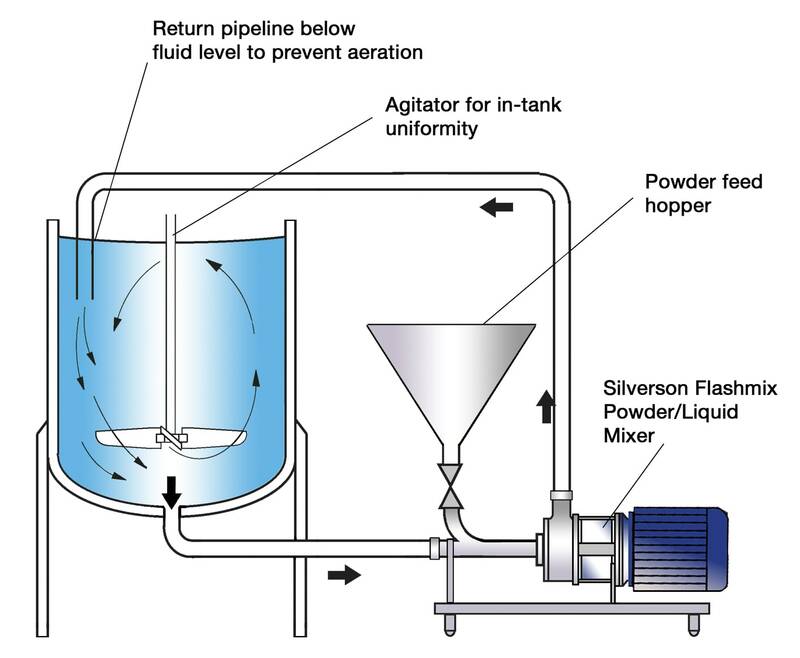 Some powders, such as sugar, sink to the bottom of the vessel, while others, for example stabilisers, tend to float on the surface of the liquid and are difficult to wet out. Thickening and stabilising additives have an even greater tendency to agglomerate. 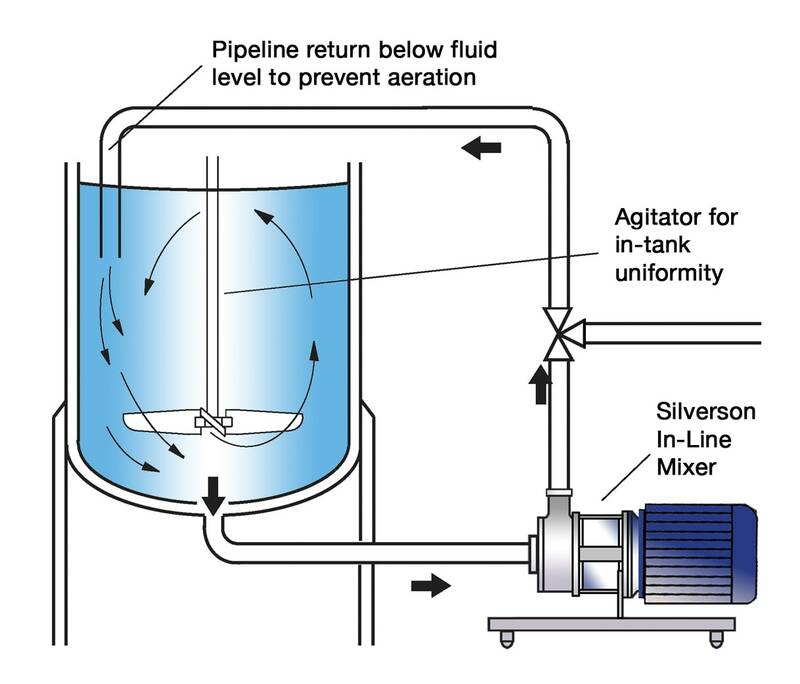 Conventional agitators do not produce sufficient shear to break these down. Potential full yield of some powders is difficult to obtain using traditional methods. Poor dispersion can lead to partially hydrated material building up on the vessel walls, impairing heat transfer. 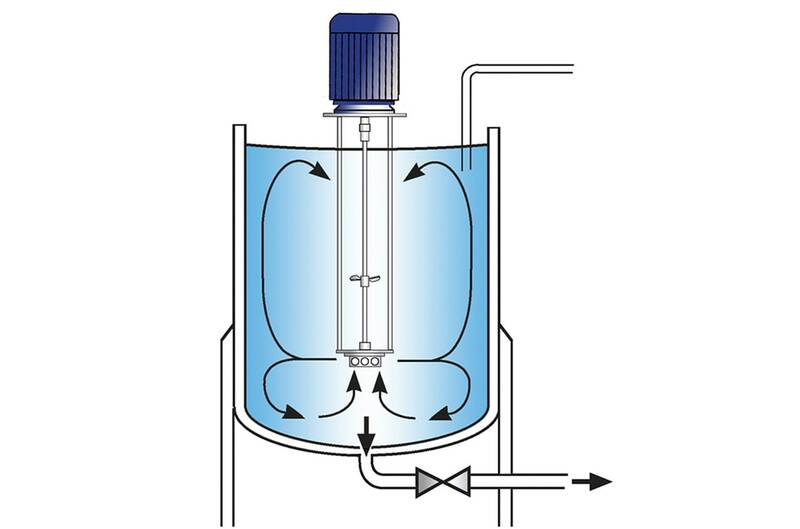 The high speed rotation of the rotor creates a powerful suction which draws liquid and powder into the workhead. Centrifugal force drives the materials towards the periphery of the workhead where they are subjected to a milling action in the gap between the rotor and stator.